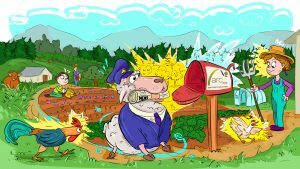 For more than 6 months in 2010 ARC2020 developed a Civil Society Communication on the CAP Reform, demanding a paradigm shift in agricultural production and food consumption as well as a renaissance of the European countryside. 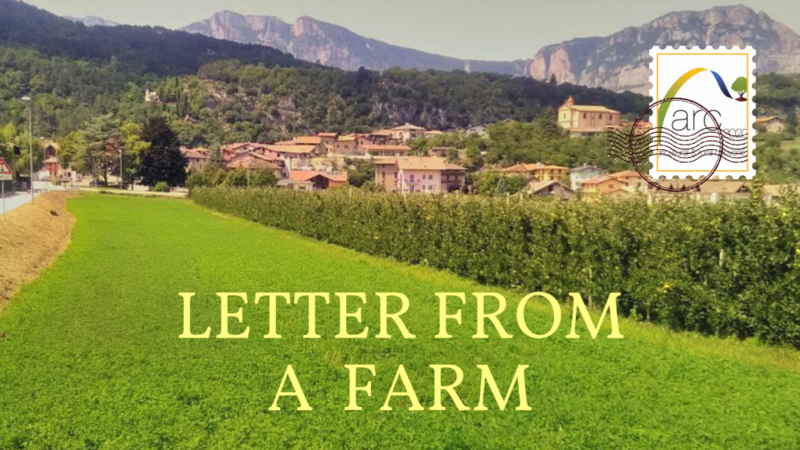 Based upon these fundamental agreements (translated in 12 languages) we now invite Civil Society to start a renewed dialogue in order to agree on a roadmap towards the next food and agricultural reforms. This shared roadmap is also a roadmap about what we all share: our commons. 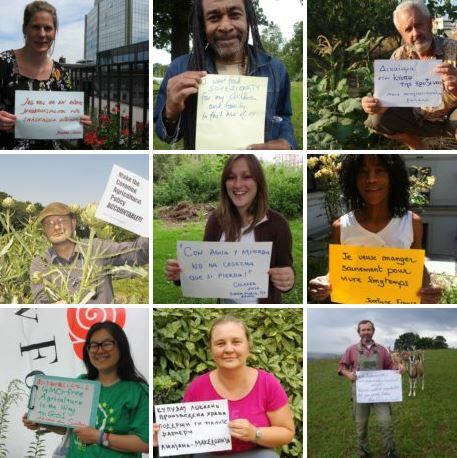 These are our Common Values, Common knowledge, Natural Commons and our Common Goods. 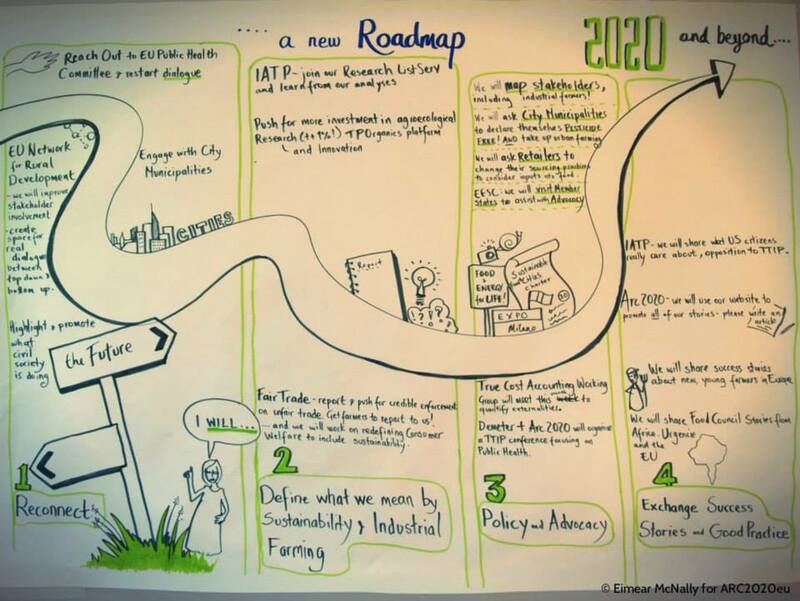 This roadmap has been in collaborative dialogue for some months, including at the January 'Wir Haben Es Satt!' event in Berlin in January. 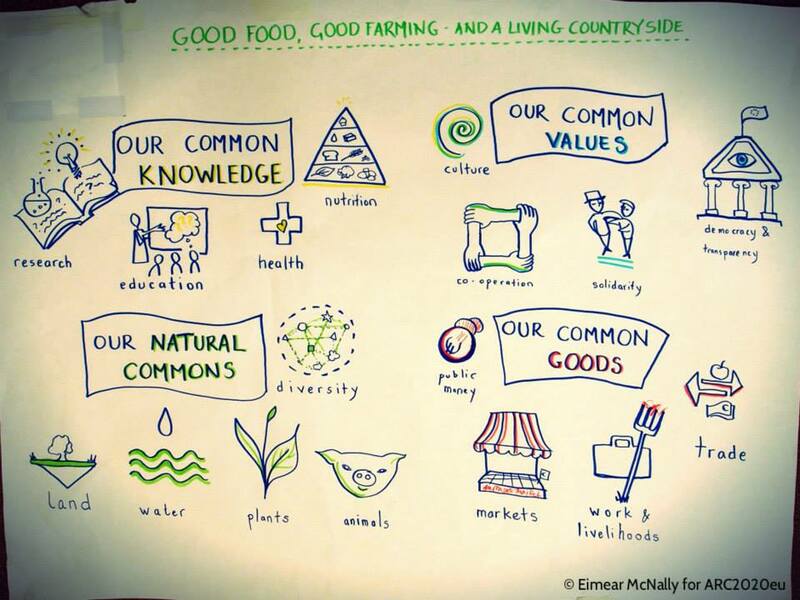 Our February Good Food Good Farming Conference in Brussels also fed into this roadmap development process, as you can see from the image developed by graphic harvester Eimear McNally. And the process continues. So read the roadmap and give us your comments!